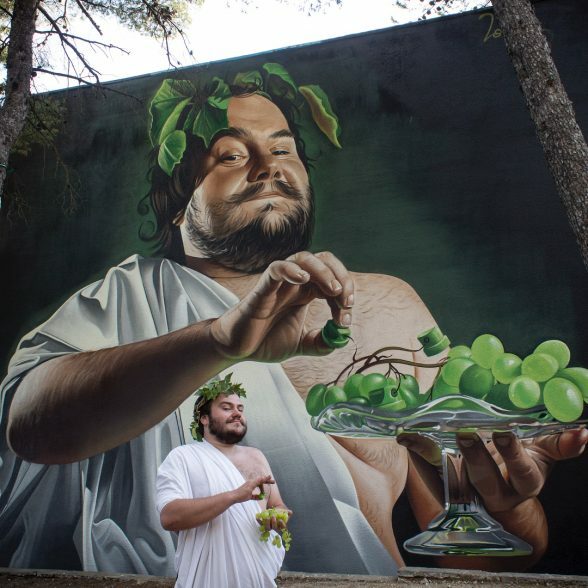 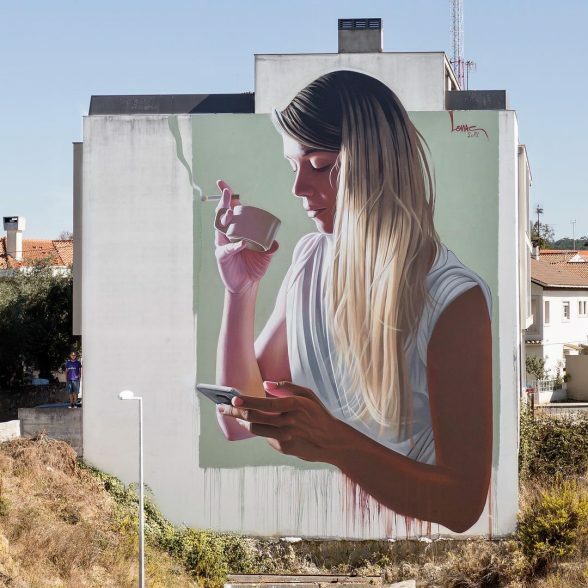 Croation artist Lonac has created impressive large-scale, site-specific murals across Europe and worldwide, combining photorealistic rendering with illustrative and two-dimensional stylistic elements. 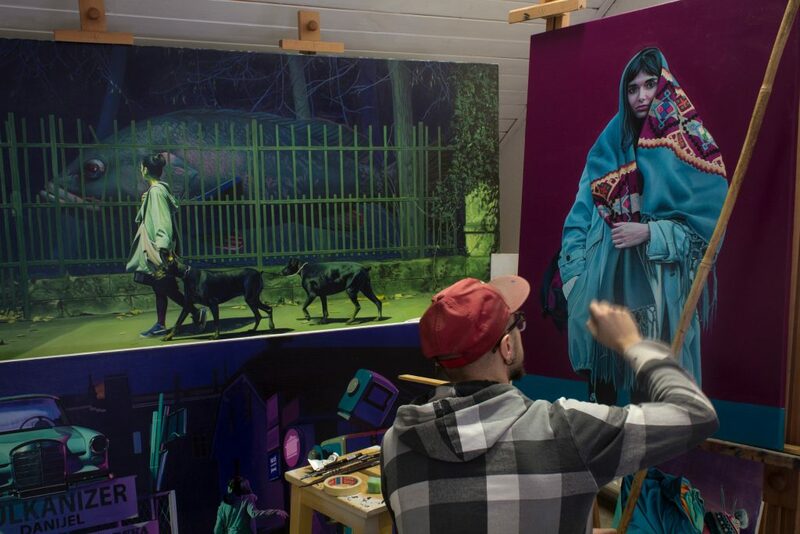 He’s now taken his signature style to canvas for his first solo exhibition “Strange Tales” with Thinkspace. 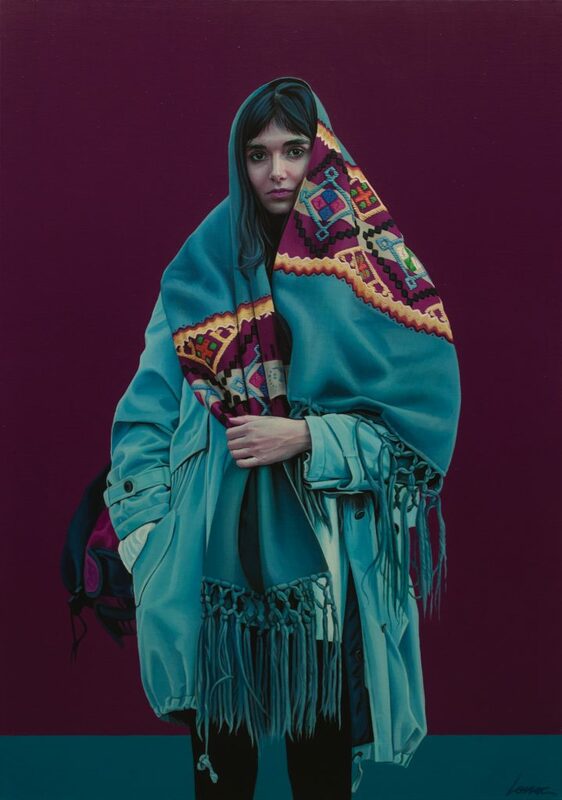 “Stange Tales” is currently on view from now through May 26th. 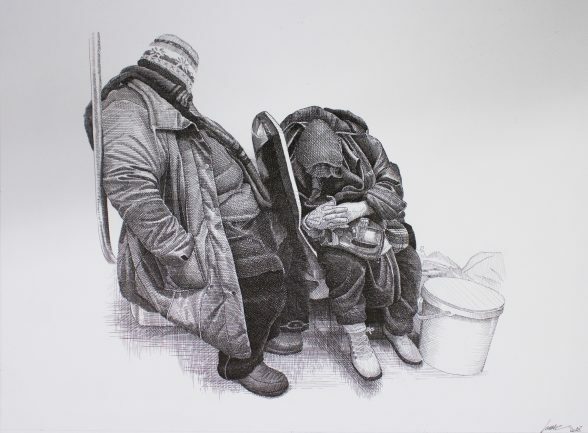 To view available pieces from the exhibition click here. 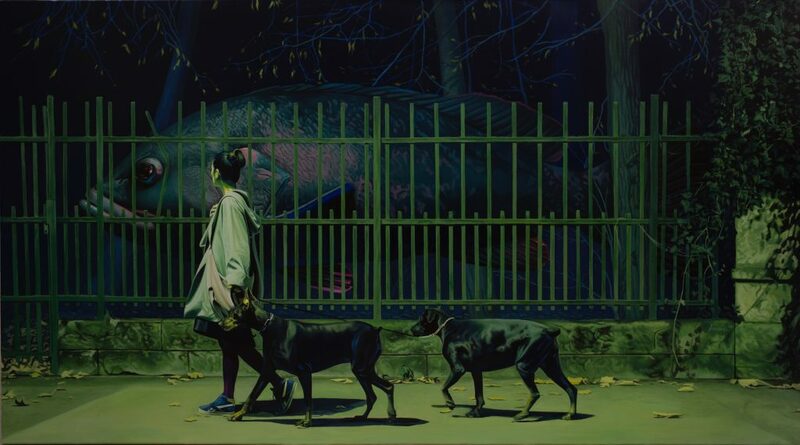 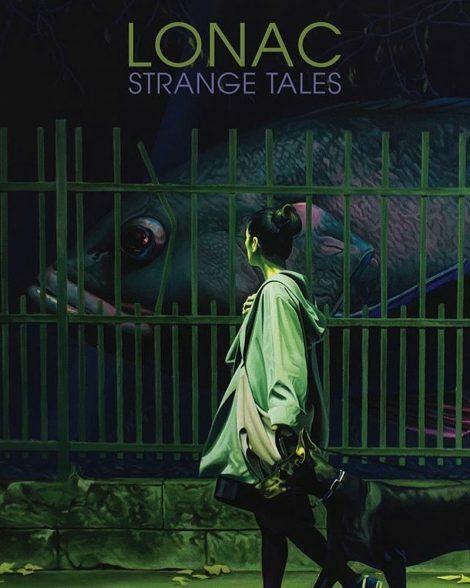 Thinkspace is pleased to present Strange Tales, the gallery’s first solo exhibition of new works by Croatian artist and street muralist Lonac. 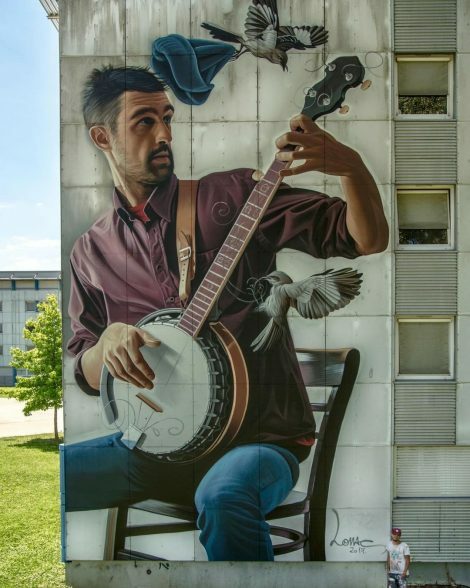 Currently based in his hometown of Zagreb, Croatia, Lonac has produced impressive large-scale, site-specific murals across Europe and worldwide, combining photorealistic rendering with illustrative and two-dimensional stylistic elements. 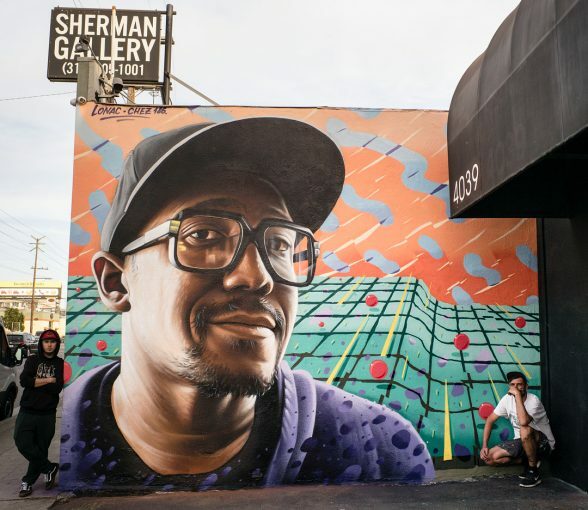 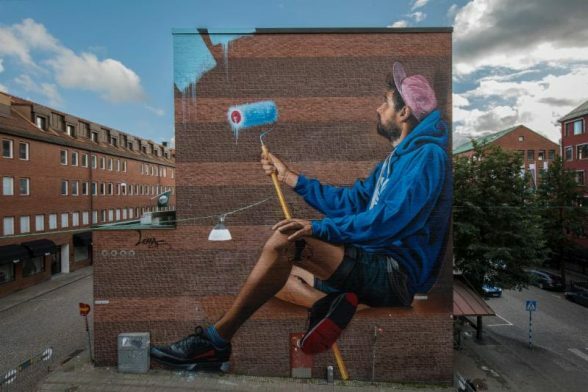 His public murals are painstakingly detailed and primarily executed with spray paint and minimal brushwork, a technique he has self-taught and refined through extensive fieldwork over the years. 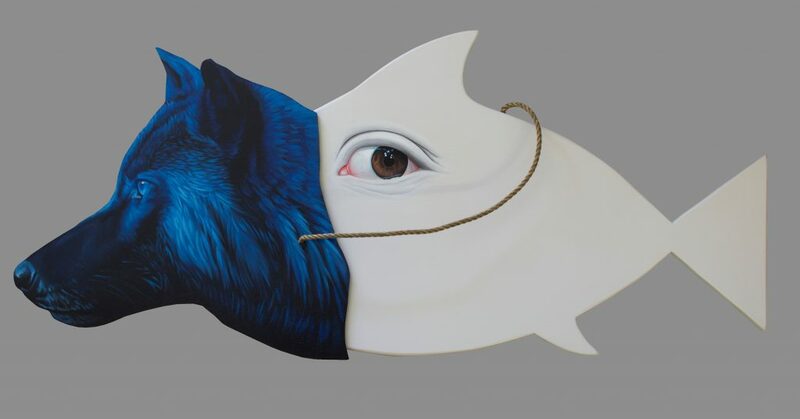 In his solo debut with Thinkspace, Lonac will present new drawings, paintings, and sculptures, all inspired by his penchant for surreal storytelling.